There is a big opportunity to make a decent living by helping people get rid of their junk and/or collecting what they throw away. Everyone has junk in their garages, basements or backyards. Here are ways you can make money on other people’s junk. If staying at home is not your style, you can choose to work on a home business that allows you to go out and interact with others. Here are ten ideas for highly-profitable go-out businesses that you can run from your home. Looking to augment your income? Here are 10 home business ideas for the weekend that can help you earn additional cash during your spare time! 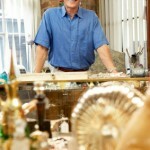 If you love beautiful things from the past, an antique business may be for you. 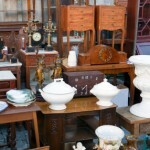 Learn how to start and profit from a collectibles dealership or antiques business.